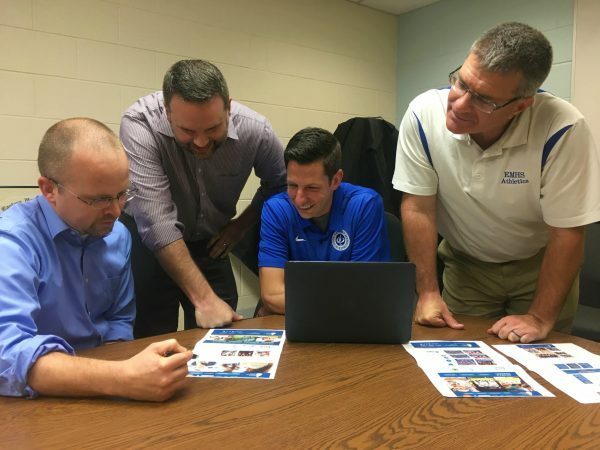 Clay Showalter, Mike Stoltzfus, Andrew Gascho and Dave Bechler review plans for the athletics section of the website, one of the most visited parts of the school's site. 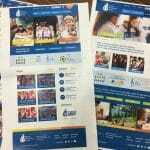 Eastern Mennonite School launched a new website in early April. 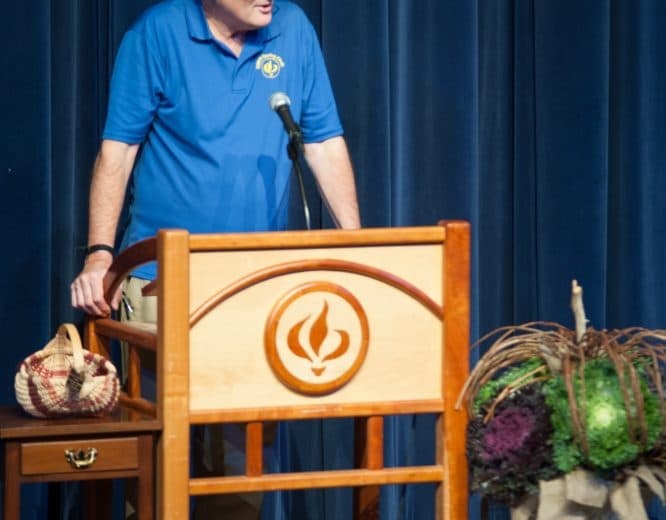 The site incorporates the school’s revitalized logo, provides information to prospective families, and serves alumni and parent audiences. 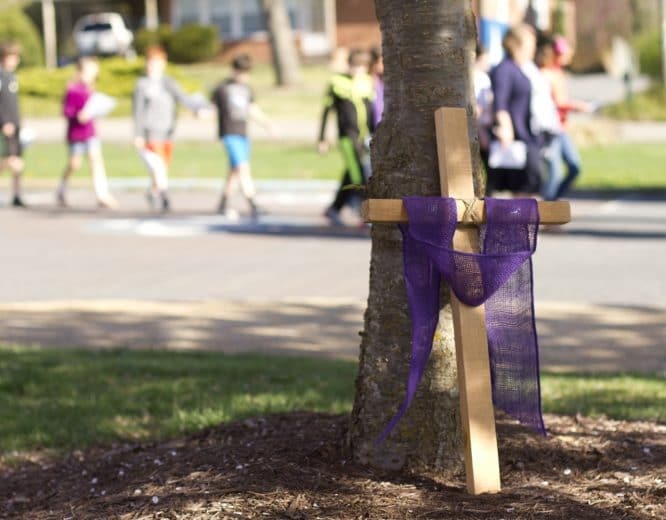 Clay Showalter ’98, media consultant, developed the site, with design expertise by Lindsey Kolb, freelance designer, and content management by Andrea Wenger, director of advancement. “Building a website from scratch is both exciting and daunting,” says Mike Stoltzfus, director of business affairs, who owned a website consultation business prior to beginning with EMS in IT support more than 10 years ago. – Home page access points for prospective families researching elementary, middle or high school. – Content features organized around themes of experiential learning, a community of faith and the arts. – A Parent Portal for easy access to links and forms frequently needed by parents of current students. – An Athletics site with schedules and results organized by team, historical data on the athletics program, directions to away games and for those coming to EMS. – A news blog with new content added multiple times a week. 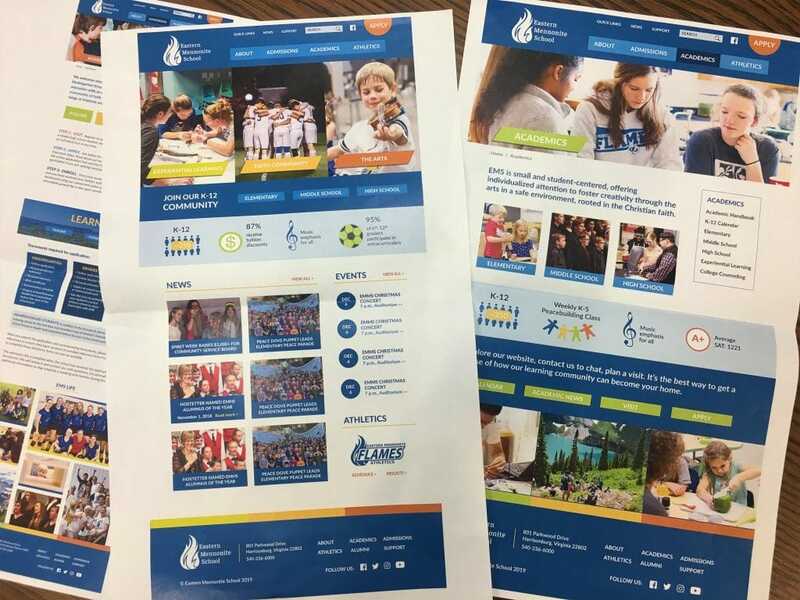 Print outs of design options for the website during development.